On the foothills of an Alpine slope, an artist-shaman named Lorenz lives. He tends a vegetable garden near a river, and he earns his living by selling his sculpted totems and painted stones to tourists. In Lorenz's world, the Native American spirituality interweaves with South Tyrolean traditions, and a sunny clearing in a wood can become a place of worship and meditation. But the first to break the silence of the woods surrounding his house is himself, eager to tell [strangers] a philosophy of life and arts both simple and ruthless –- in nature, the only important thing is to survive. 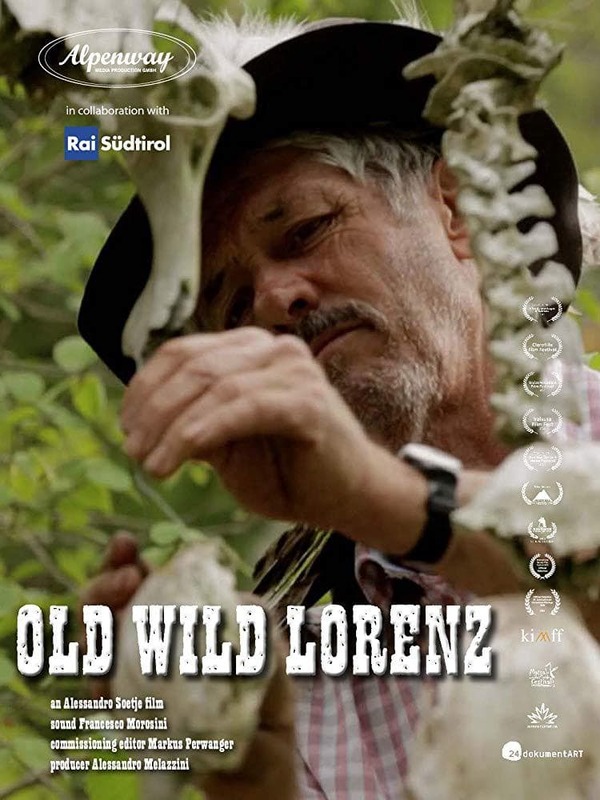 Old Wild Lorenz – directed by Alessandro Soetje – portrays with a curious and watchful eye the world of an artist-farmer who lives in solitude on tourism, and whose works of art – made of stones, scraps, animal skulls and bones – are essentially inspired by a reflection on death.